Find My Workspace lists over 95% of the business centres market in Bellshill. Simply click Request Quote to check pricing for one office, or Add to Basket for multiple offices. 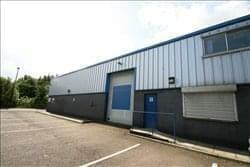 This Bellshill-based centre is composed of over 4,800sqft of space in a vibrant business park setting. Offices and storage units range from 100sqft up to 1,100sqft making it an interesting proposition for businesses of varied size. The centre offers flexible business accommodation as well as 24 hour access, allowing you to ditch the 9 till 5 and set your own working schedule. Tenants can also take advantage of unloading areas. There is also meeting room facilities, reception services and mailbox services. With ample onsite parking, tenants can have a relaxing commute knowing there will be a space.